The Digital Charter Bank Netherlands has launched. It contains over 170,000 charters from the Middle Ages through to the 1800s from archives throughout the Netherlands. Summaries are provided for most charters, some have scans as well. The Utrechts Archief published data on almost 100,000 railway workers from the period 1836-1920. The Utrechts Archief has the records of many of the railroad companies in the Netherlands. 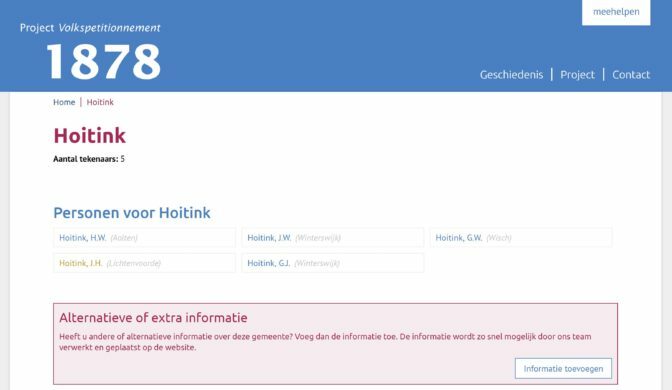 The index and scans of personnel registers can be consulted on the Utrechts Archief website. Several newspapers from the West-Friesland area of Noord-Holland are now available via Delpher. Indexes of the 1811 census (“registre civique”) of several towns in Noord-Holland was added to the Ooijevaar website. A name index of verdicts in criminal cases in Assen, Drenthe (1838-1888) is now available via AlleDrenten. Several archives published scans of records that were made public as of 1 January 2019. See Dutch Records that were public as of 1 January 2019 for more information. 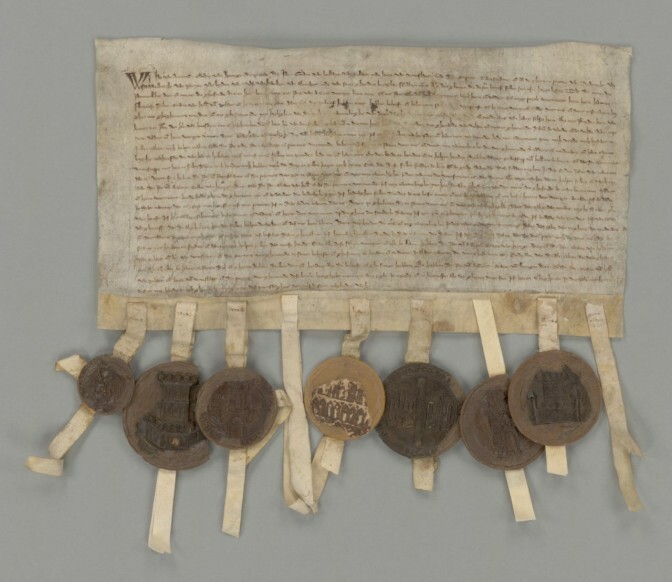 Agreement regarding the murder of Floris V, count of Holland, 1299. Free scanning on demand for many Noord-Brabant records. The Brabants Historisch Informatie Centrum, the Provincial archives of Noord-Brabant, now offer free scanning on demand for many records that are over 110 years old. You can browse their catalog for the scan on demand icon next to the archival description. The Waterlands Archief has a new website that provides access to records about the area around Volendam, Edam, and Purmerend. The website Volkspetitionnement 1878 provides access to the names of over 300,000 protestant and 164,000 Catholics in the Netherlands who signed a petition in 1878 for religion-based schools. You can search the website by name or click the map to see who signed the petition per municipality. Thank you Yvette. I found an important piece of information in the railway workers records! It is very useful to see what’s new online.